We are Manufacturer & Exporter of Axial Flow Fan. 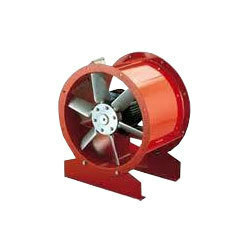 Clients can avail a wide assortment of Axial Flow Fan from us. These products are specially designed with airfoil design and variable blades angle for high RPM with Low power consumption. Blow tech engineers Industrial Axial Flow Fan are available in different models and sizes these fans are known for the features like spark resistant, cast aluminum propellers or heavy-duty steel propellers. Further, we also offer Stainless steel propellers or all stainless steel fans to our clients. Booster Fans for in-line ducts etc.